Enter to win a copy of the Static Zing sock pattern! Post in the contest thread in the Ravelry group and tell us what yarn (or yarns!) you would use to knit these awesome socks, and we will randomly draw two lucky winners. 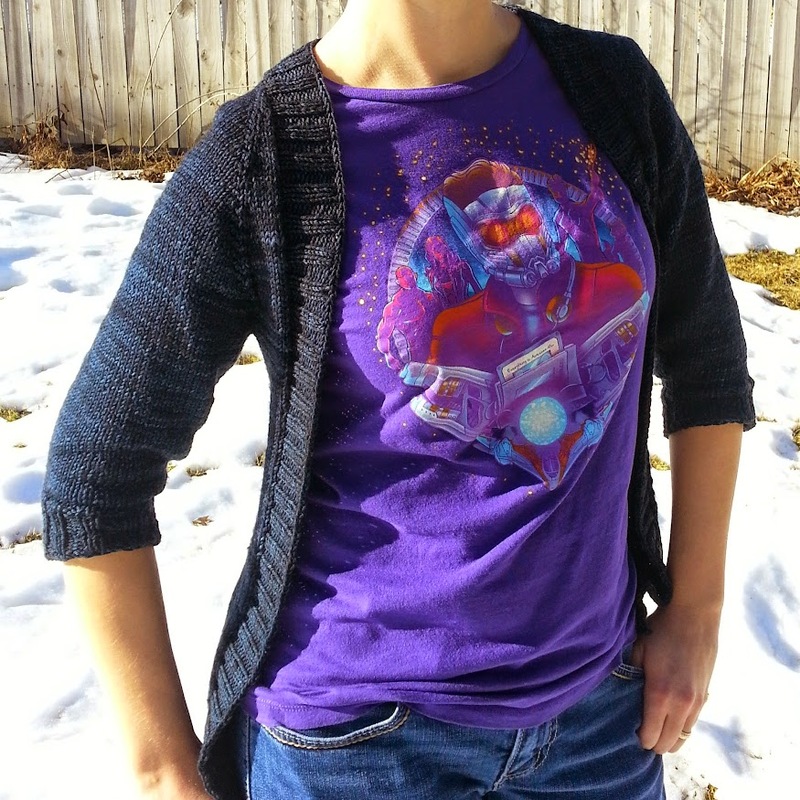 Susie finished her Chill Chaser Cardigan, and is happy with her many modifications. She also finished her Water and Stone and it is everything she hoped it would be, despite a son of a stitch at the end. Danie finished her epic Stitches Socks, finally finding a heel she is happy with. She also finished her Mama Vertebrae and it is fabulously flattering and showcases her geeky t-shirts nicely. Susie worked on her Electric Rainbow Friendship Socks, and knit through the heel turn on the first one using Danie’s suggestion of knitting a regular heel flap using the other end of the ball of yarn to minimize the disruption in the gradient across the instep. She also started her next curl, Cerise, and had another son of a stitch getting started with it but is cruising on it now. Danie worked on her worsted weight socks, and on her Swirl E Rainbow Socks. She also put a few rows on her Featherweight Cardigan, and started a gorgeous pair of socks for Dianne of the Suburban Stitcher‘s Rainbowalong.